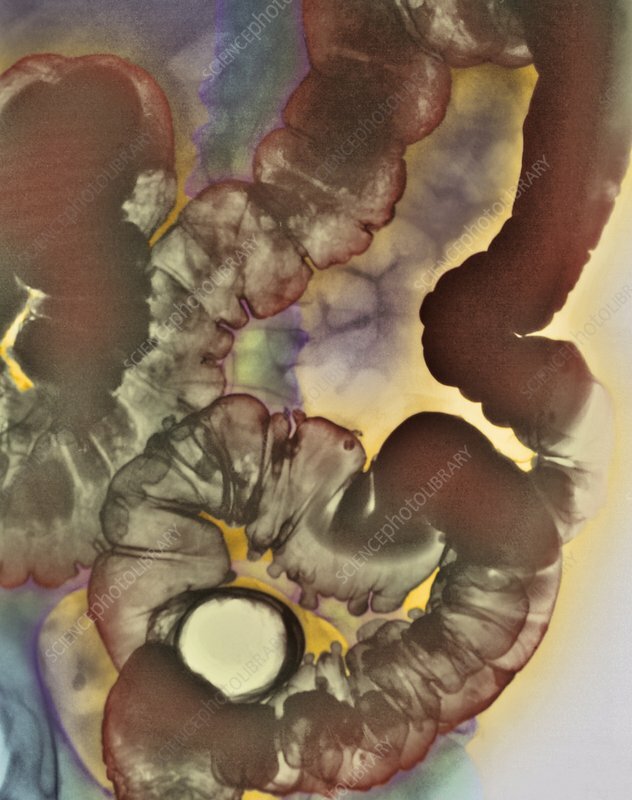 Diverticular disease, coloured X-ray. This illness is also known as diverticulitis or CDD (colonic diverticular disease). This is a double-contrast X-ray, where the patient has received a barium enema to highlight abnormal structures in the colon. CDD results in sacs (diverticula) that protrude externally from the colon wall, for instance at lower centre. These become inflamed, infected and may even rupture. They are common with age and result in fever, vomiting and pain. Treatment requires antibiotic drugs, more severe cases may require surgery to remove part of the colon.